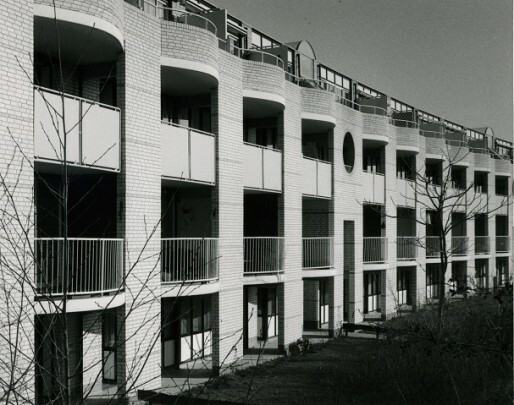 One side of a U-shaped housing block forms a gently curving wall to a neighbouring park. This section is built up of two layers of maisonettes reached from an access gallery. The parkside facade is a well-balanced composition of horizontals and verticals, of curved and rectilinear surfaces almost Classical in appearance. It is remarkable that despite using the same cheap materials there is a distinct difference in quality between front and rear facades.